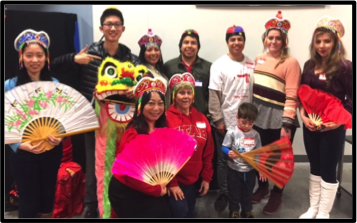 Asian New Year – North American Baptists, Inc. The Lord is good and has opened more opportunities for us lately. Conversation Cafe is growing with interest and in numbers. We have now expanded it to two times per week–Saturday mornings and Thursday evenings, and some of the students even attend both! We have been blessed with several of our students being believers and they are actively inviting others to our events. One of the students, a man from Mongolia (Naya), is now going through the Gospel of John with me. His desire is to lead others in the future. 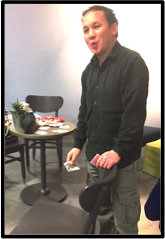 He is pictured telling a story at our Christmas Party. 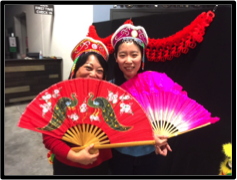 A big event that many international students attend is the Asian New Year Party. 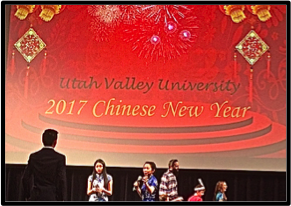 We hosted our own on January 28 and attended the UVU Party a few nights later. These cultural nights we host and those we attend on campus are a great way to meet students. Showing interest in their culture and enjoying their food can make huge in-roads in relationships. The location where we live is a mission field as great as any on earth, and the attacks of the enemy are real and vicious. Please pray for the breakdown of strongholds and victory over the darkness. Many of the workers here lose heart and get very discouraged. They need your prayers!